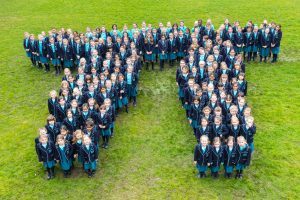 THERE was nourishment for body and brain when Halstead Preparatory School celebrated Pi Day on Wednesday, writes Stuart Flitton. The date is chosen as a twist on Pi – the ratio of the circumference of a circle to its diameter — which is approximately 3.14159. The number is a constant but also infinite. Someone, with a great deal of time, has calculated it to one trillion digits after the decimal point. The Halstead pupils weren’t given that task but took part in Pi reciting competitions. One Year 5 pupil, Hanna, can recite Pi to 64 decimal places.